"Fully 70% of the stores in the supermarket are genetically modified." Obesity is NOT a disease. If it was, what isn't? 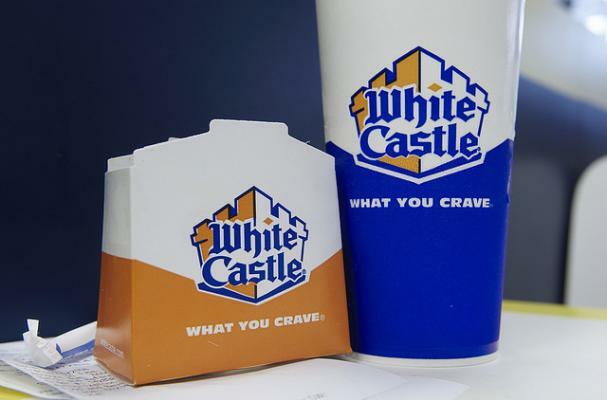 This idiot needs to get fined for wasting the courts time and then not allowed inside another White Castle restaurant. It's a fast-food joint. A man of his size should know better than consume said food. He obviously is content with his weight, so he should be ok with the limitations he set for himself. I just read that 66% of Americans are overweight/obese. In this economy people are eating out less. Many others are wanting to eat healthier than fast foods allow and so they are losing customers. It seems they need to understand that it makes good business sense to make the customers especially ones that eat and spend a lot more comfortable so they come back. These tend to be people who put convenience and taste above health so I would think the company would have been happy someone alerted them to something many of their clientèle feel as many have encountered this problem especially at white castle which unlike many fast food companies do not have some tables and chairs in addition to unmovable units and have bigger ones than white castle which is one of the smallest seating units. For every letter they get they can be sure at least a thousand people feel the same but did not write..maybe just went elsewhere. It seems the person getting the letter was one of the many Americans with hatred or prejudice towards an obese person as he apparently wrote a condescending letter and thought a few dollars in food would appease this man and apparently ticked off the wrong person. Then on top of it they lied even sending building plans which cannot be used against them in court lying not once but three times. You can be sure other obese people will wait to see if he prevails maybe to do their own lawsuit or see if they want to go there anymore. If this happens other fast foods places will be scared of the precedent and put in at least some freestanding tables and chairs. So this employees cost the industry more. Had they just send a few tables and chairs to that one restaurant all this could have been avoided. They will also have negative publicity with this. As I said if 2/3 rd of the people are overweight, it makes good sense to make these people comfortable and not have the table cutting into their stomachs which is not good for digestion or worst yet be embarrassed by not being able to fit at all.Sure they obviously do not give a crap about their customers which you can tell as nothing on the menu is healthy but at least make it so the people will feel they want to come back and be sure everyone fits ok is cost effective in the long run so people in a competitive fast food industry do not lose their customers to more accommodating stores. He did them a favor by possible spurring them to action instead of just never coming back like many would do and he was patient as he waited two years and wrote three times. The employee who answered the letter with plans etc that they never intended to do should be fired. If they had spent a few hundred dollars sending a couple freestanding table and chairs there, that could have ended it. Now if he wins, they will have to do all their restaurants as well as other corporations. This idiot employee could wind up costing the company more. Had he not been condescending, the guy might have let it go but once he got angry and emotionally involved he could not. it is better this way for other overweight and tall people as if they had just done that store the guy would not have sued. I think he did it for the principle and came to feel he was speaking for all those who feel the same but would never speak up or sue due to embarrassment. He spoke for them. This is different from entitlement. I did not realize that obesity was considered a disease by the AMA. That will give more weight (no pun intend) to his case. But seriously, I think it is a disease as only 3% of the people can keep the weight off and once they lose weight the amount they must eat to maintain it becomes insufficient to maintain health. Some people are gaining weight on 500 calories a day. is anyone having a problem with page 3 showing? When I click it I get page 4.